Sila Sibiri is safely on the hard in STP Shipyard having been salvaged from the Bay of Palma last week. 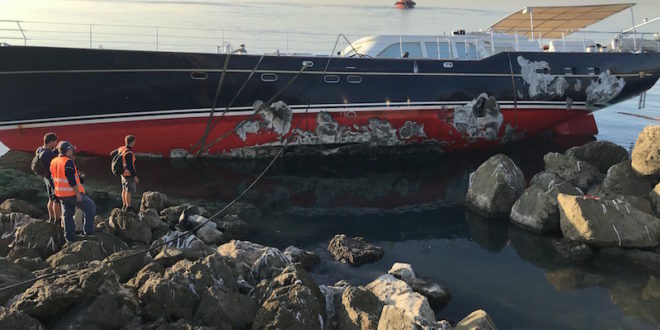 Having dragged anchor and ended up on the rocks in front of the Cathedral due to a storm surge that hit the island in mid October, our team at Shore Marine arranged the salvage of the 32m Turkish-built ketch. 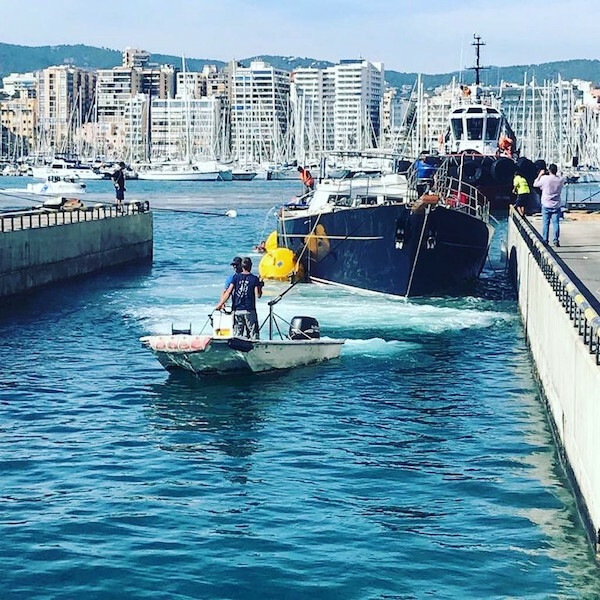 This was a delicate operation which involved the removal of her masts, whilst still on the rocks, turning the yacht for emergency repairs and a successful tow into the port of Palma on Friday afternoon. Here she was lifted out of the water by STP Shipyard.